Gung Ho, in its contemporary form, was re-registered in 1987, with the Ministry of Civil Affairs as an international non-profit organization. It is a democratically structured organization with Chinese and international members. The members are mostly individuals but some are organizations, cooperatives, and federations. Members establish plans and policies and appoint an executive at their annual general meetings. The organization is now following its second five-year plan for the development of its network and the promotion of cooperatives in China. Its members are principled cooperants; many would regard themselves as socialists. The name, Gung Ho, uses the Chinese words meaning "working together," and their motto adds "working hard," the meaning of the English word which was derived from the Chinese in the period of the organization's inception. I found this combination of working hard and working together strongly in effect when, in July 2010, I revisited friends in Beijing at Gung Ho, including Michael Crook, its Vice Chair. I also had occasion to meet Du Yintang, Gung Ho's Secretary General. I have watched Gung Ho, since its revival in the late 1980s, go from halting steps of rejuvenation to its present dynamism. It supports cooperatives and their legal framework in China and develops ties with organizations throughout the world. It is an organization that needs to be better known both internationally and inside China. Gung Ho was founded in 1938 by a group of influential foreign experts in China and by Chinese patriots to mobilize a resistance industry against the Japanese occupation of China. Once established, the Gung Ho movement played an important role in giving material support to diverse groups in the Chinese United Front against Japanese forces. At the same time it helped to sustain the United Front and to delay its eventual breakup. Rewi Alley, the famous New Zealander, was one of the founders of Gung Ho, along with his friends Edgar and Helen Snow, the well-known chroniclers of Mao Zedong and Chinese Communism. Others quickly joined. From the beginning Gung Ho gained respectability from the backing of Mme. Soong Ching Ling (widow of Dr. Sun Yatsen) and her banker brother. It was also strongly supported by Soong Meiling, wife of General Chiang Kaishek, leader of the Guomindang. At the peak of the movement to build cooperatives in Gung Ho's early years, it oversaw close to 3000 Gung Ho cooperatives whose members numbered from a few workers to several hundred. The original plan was for much greater numbers, but that was unachievable due to the difficulties of the war of resistance and the precariousness of the United Front. The Gung Ho cooperatives produced hundreds of products in over fifty types of industry including "textiles, blanket factories, printing shops, transport cooperatives, small iron plants, foundries, coal and gold mines, chemical plants, electrical machinery plants, and factories for making medicines, army uniforms, grenades, animal-drawn carts and tents." (Rewi Alley, An Autobiography (Beijiing, New World Press, 1986, 3rd edition 1997, p. 174) One million blankets were made for the Guomindang. All sorts of products, in smaller numbers, were sent to the front for the guerilla armies of the Communist Party. An international committee was formed to seek foreign support for the movement. This committee was made up of Chinese and foreign Chinese experts, including Joseph Needham, the brilliant Cambridge biologist and author of a massive history of Chinese science, who has become better known through Simon Winchester's The Man Who Loved China. Many other important foreign supporters were active in Gung Ho. General Stilwell, Chief of the Allied Staff arranged for some small mechanized shops to be flown in for cooperatives serving the Eighth Route Army of the Communist Party. Through the work of promotion committees that were set up in many countries, including the United States and Canada, during the war years in China (1930s and '40s), Gung Ho received almost ten million US dollars in cash and goods. Many skilled volunteers from around the world came to China to help. The vast internationally-supported network of cooperatives served both sides of the Chinese divide, Mao Zedong's Communist forces and Chiang Kaishek's Guomindang forces under the United Front. But the United Front faltered due to corruption, excessive bureaucracy (especially in the Guomindang), mutual suspicions and mistrust, and irreconcilable differences of ideologies. With the egalitarian nature of cooperative production and the organization of large number of workers, especially peasant workers, the cooperative movement sided much more with the Communists, who in any case became the dominant power. In the end, the Communist Party became the only practical option. Gung Ho cooperatives began to dwindle towards the end of the war, but those that continued served workers and peasants and the Chinese economy through liberation in 1949 and into the early years of the new China. In the 1950s, the whole Chinese economy was reorganized into collectives and then communes, along with revolutionary committees in factories, during the Cultural Revolution of 1966-76. Production in cooperatives was replaced by the new universal model of socialist production in people's communes. This closed a dramatic and venturesome period for Gung Ho and the cooperatives it supported, assisted, and advised. From the late 1950s, there was a long hiatus in its operation until its revival, beginning in 1983. In the mid-1980s there was also a change in the economy in China, with 'new responsibility' systems. The collective farming of people's communes was replaced by a system of household farming and various forms of marketing by individual families. Various cooperative forms of agriculture grew from the individual household farming. Some state-owned factories with collective production became township enterprises, foreign-owned companies in special zones, and private industries of various forms. Some of these also had a large component of state ownership. Even state-owned companies took a variety of forms as ownership laws developed and shifted. With the uncertainty created by the disbanding of communes there arose a variety of technological associations and specialized cooperatives. The forms that they took depended on the variety of sources that established them. Cooperatives were mostly formed by skilled individuals, technological groups, marketing cooperatives, village enterprises, administrative cadres, or government service groups. The result was a heterogeneity of cooperatives in structure, size, principles, and governance. A diversity of experiments and models arose throughout China, although cooperatives were concentrated on the eastern coast. In very short time, old cooperatives resumed activity and new ones formed. Hundreds of cooperatives were soon operating with many provincial chapters of Gung Ho. 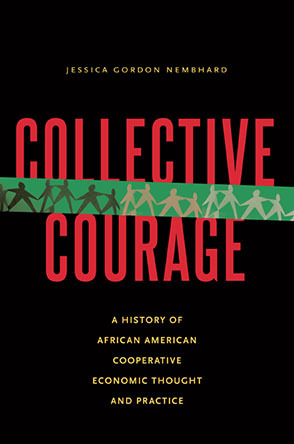 Some of the cooperatives struggled to follow the strong cooperative principles to which Alley and his friends were committed. In 1987, I visited several cooperatives that fell short of good cooperative work and management. Much has changed since then, especially in the cooperatives promoted by Gung Ho. The needs that Gung Ho serves now are different from those at its founding, when the work was urgent and adventurous. There are now many cooperatives in China, and many of them need help in developing good policies and governance. Gung Ho still helps establish some cooperatives, as in the case of the irrigation and tea growing cooperatives in the 2010 Pengzhou earthquake area. Now, however, with the end of government funding, the skilled, but small, staff is more focused on assessing, training, and the promotion of good cooperative governing principles. Gung Ho is now engaged in the slower, more mundane work of establishing democratic cooperative workplaces with socialist ownership. These goals are urgent and important for those who are committed to the ideals of cooperative production and workers control and the cultures that support those ideals - definitely those in Gung Ho. A very important factor for Chinese cooperatives in general and Gung Ho in particular is the Farmers' Specialized Cooperative Law that was passed by the National People's Congress and promulgated in 2007. The law was the result of interested and dedicated individuals working in the Chinese People's Political Consultative Conference, the parallel policy organization of fraternal democratic parties. This law in many ways makes the work of Gung Ho easier, as Michael Crook, Gung Ho's dynamic and committed Vice Chair, told me. Cooperatives are now recognized legally and supported politically. Gung Ho can operate in an established network. It is a drawback that the law is limited to agricultural cooperatives, but a major goal of Gung Ho is to promote further laws that would apply to other parts of the economy. The 2007 law on cooperatives, as Du explained, allows individual ownership of up to 40% of the shares within the cooperative structure, often skewing the non-hierarchical democratic side of the cooperatives. (Elsewhere, I was told that various government stimulus packages to promote farmers cooperatives have led to some private entrepreneurs masquerading as cooperatives.) Gung Ho has to work around many complexities of contemporary Chinese cooperatives to promote cooperative production and governance by equal participation and votes. Without strong organizational principles, and sometimes even with them, money biases productive and governing methods. Cooperative work and democratic governance often suffers from such pressures of unequal ownership and the lack of cooperant attention to it. Naturally, Gung Ho has had to struggle with such problems, but the organization has clear principles and is dedicated to fostering genuine cooperatives. Despite limitations, the law on cooperatives has been important and certainly partially accounts for the dramatic increase of cooperatives in China in recent years. In 2009, there were almost 250,000 agricultural cooperatives in the country as a whole, with about 21 million households. In Beijing alone, there are 3,406 agricultural cooperatives with over 425,000 households. The Ministry of Agriculture, along with other ministries of the central government, has called for demonstration cooperatives with the improvement of democratic management being the priority. Gung Ho worked with the Beijing Rural Economy Operation Administration Station to assess and give guidance to cooperatives in the Beijing suburbs. This is an ongoing project that has been very important. (See the report on the Gung Ho website.) In this case, Gung Ho's international connections have been significant in its success. In a Canada-China cooperative project, ICCIC partnered with the Canadian Co-Operative Association (CCA) to create a Chinese version of a cooperative development ladder assessment tool, which serves to assess how well a cooperative has developed the ideals of a genuine producer cooperative. The assessment mechanism used by the CCA was reworked to fit Chinese culture and conditions and is now used in the ongoing assessment of cooperatives in Beijing and elsewhere. Gung Ho is further developing its international links. In 2010, Gung Ho joined the International Cooperative Association. Beyond the Canada-China projects and relations with organizations in other countries, members have visited Mondragon and other cooperatives abroad and have participated in international conferences. The international connections will be further promoted by the United Nation's International Year of Cooperatives in 2012. Gung Ho takes its international work seriously. It benefits from international cooperation and provides lessons from Chinese experiences for others. I appreciated the time that Du Yintang took with me as a foreign visitor. Later, in August, he and other members of the organization briefed Noam Chomsky (on Chomsky's first visit to China) about Gung Ho and then discussed with him the importance of cooperatives throughout the world. In China, especially, there is a rich variety of cooperatives, which come from a multiplicity of sources and institutions and a long persistent history of working together. Furthermore, this is in the context of state-owned enterprises and private enterprises, both domestic and foreign and many with state support. This diversity and heterogeneity is true of most of what a careful observer finds in China, locally, provincially, and nationally rather than an authoritarian uniformity. It is important to consider the institutional forces and pressures in China that influence cooperatives and supporting organizations like Gung Ho. With a sectoral (agricultural) national law, and additional laws at the provincial level, Gung Ho gets strength in the legal structure of policy and bureaus. (Although, some of the gains have been compromised by the loss of central state funding.) There are interests (in national and local ministries and bureaus, in the Consultative Conference, in technical associations, and in civil society) pushing for broader laws encompassing cooperatives beyond the agricultural sector, especially in the industrial and financial sectors. The political culture promoted by Mao of 'serving the people' and the constitutional recognition of China as a socialist country makes cooperatives reasonable. Gung Ho is operating in a country of rich dynamism and pluralism, a variety of strong socialist forces, and a state-party complex that calls for "harmonious socialist developments," in the current terminology, while promoting progressive socialist projects. The shifting economic circumstances with continuing growth and sluggish employment makes cooperation especially desirable. The economy is still the focus of attention, from new experiments to workers' actions to scientific development. There is need for more experiments in cooperative production and room for model cooperatives, one of many Gung Ho projects. There are also many new sectors of the economy ripe for establishing cooperatives, another part of Gung Ho's mission in their second five-year plan. The particular nature of the International Committee for the Promotion of Chinese Industrial Cooperatives (Gung Ho) makes it the ideal organization for developing a strong network of cooperatives across economic sectors throughout China. Its international connections are strong and developing. It is trying now to establish a partnership with fair-trade labeling. It is also trying to promote domestic links, for example with university students in China. Cooperatives in China are productive experiments within the broader experiments in Chinese-style socialism. They help show that there are alternative economies, but they also show that there can be better work environments and participatory forms of governance in both state and private workplaces. Gung Ho is playing a leading role in helping both the productive experiments and the social experiments work in progressive ways. It is eager to learn from others and grateful for support, just as the rest of us can benefit from following and learning from its successes, and difficulties. The permanent link to this issue is http://geo.coop/node/603. Photos courtesy of Gung Ho. I have long been interested in collectives and cooperatives as part of a progressive activist agenda. My activism began with anti-nuclear work at Cornell to peace issues at University of Oxford to a variety of projects around anti-imperialism. Most of my life I taught in various fields of philosophy, including socialist theory and democratic theory. I have written on analytical Marxism, deliberative democracy, and the philosophy of language. I have retired from the University of Calgary (Canada) where I taught most of my life. I taught philosophy in China in the 1980s and again in 2010 and will teach analytical Marxism at Peking University in fall 2011. I have also been a visitor at the Center for Global Justice in San Miguel de Allende (Mexico). I reside in Vancouver and am attached to the University of British Columbia. I have researched and am a member of Gung Ho and wrote about it in GEO (Nov-Dec 2002). I continue to study Marx's thought, substantive democracy, and the integration of socialisms. Note: I thank Michael Crook, Diana Hodson, Len Krimerman, and John Lawrence for comments on an earlier draft. This follows up my earlier report on Gung Ho in GEO, Nov.-Dec. 2002, pp. 8-9.